Updated dyspepsia have been released by key opinion leaders of Thailand to update the statement with essential practical points, rationales, levels of evidence, and grades of recommendations for the management of dyspepsia. The guideline is mainly focused on the following 4 topics: (1) evaluation of patients with dyspepsia, (2) management, (3) special issues (overlapping gastroesophageal reflux disease/irritable bowel syndrome and non-steroidal anti-inflammatory drug/aspirin use), and (4) long-term follow-up and management to provide guidance for physicians in Thailand and other limited-resource areas managing such patients. Dyspepsia is a common condition associated with gastrointestinal (GI) disease, with a global prevalence of at least 20%. 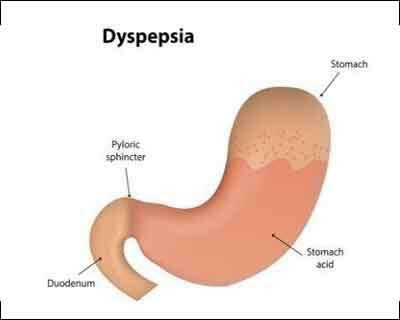 In Thailand, the prevalence of dyspepsia is 66%. Of those, 60–90% show no evidence of structural disease on endoscopy, which is known as functional dyspepsia (FD). In addition, quality of life is significantly negatively impacted in dyspeptic patients in Asia. FD is a benign but chronic condition that often fluctuates and is sometimes recurrent. It has a significant negative impact on the patient’s quality of life as well as the health care system. From a survey of 2000 rural populations in Malaysia, the quality of life score was significantly lower in dyspepsia patients compared to the healthy population. Esophagogastroduodenoscopy (EGD) is indicated in dyspeptic patients who have one of the these-Age of onset of 50 years or older,Alarm features,Symptoms are non-responsive to a trial of appropriate medical therapy. In patients with dyspepsia, a rapid urease test and/or histopathology for H. pylori should be performed when endoscopy is indicated. Due to the limited H. pylori testing resources in rural areas of Thailand, patients with uninvestigated dyspepsia without alarm symptoms should receive an empirical trial of PPIs for 4–8 weeks as a first-line therapy. Prokinetic agents may be used as an adjunct therapy in patients with uninvestigated dyspepsia who fail to improve after empirical PPI therapy. H. pylori should be eradicated in all dyspeptic patients with H. pylori infection. Prokinetic agents, tricyclic antidepressants (TCAs) and cytoprotective agents have been shown to improve symptoms in patients with FD after failure of PPI therapy. Overlapping GERD and FD should be managed with PPIs and/or prokinetic agents according to symptom subset. Overlapping FD and IBS should be managed according to symptoms. Co-prescribing PPIs is the most effective strategy for reducing NSAID/ASA-induced dyspepsia, as well as NSAID/ASA-induced ulcer complications in high-risk patients. Patients with FD who respond to PPIs should be weaned off PPIs after achieving symptom relief within 6–12 months, while an appropriate lifestyle modification is mandatory. In patients with FD who do not respond to optimal treatment, the clinician should re-evaluate and consider further investigation.